Co-creator of "JoKyR and Jesster"
In 1992, I started college at Worcester Polytechnic Institute (WPI) and was heavily involved in theater, joining the Masque and MW Repertory Theater groups as an actor (and even once a director), as well as being inducted into the national theater honor fraternity Alpha Psi Omega. In my first year at college, I became involved in Chain Link Fence, which was WPI's improvisational acting troupe. I was actively involved with the troupe until my graduation in 1996, occasionally helping out when they performed at reunions I happened to be at. I moved to Utah immediately after receiving my computer science degree, taking a long break from acting and improv to focus on work and family. In 2001, I took a class with the Skinny Lincoln's Lincoln Hoppe because I missed improv and I was reintroduced to the art	form I loved. I then took workshops with Quick Wits' Bob Bedore and Knock Your Socks Off's (KYSOff's) Joseph Kyle Rogan and was asked to join KYSOff in November of 2001. In September of 2003, Joseph Kyle Rogan and I formed an improv duo called JoKyR and Jesster, based off of our respective nicknames. We had our festival debut at the Phoenix Improv Festival and have since performed and taught in the Toronto Improv Festival, Chicago Improv Festival, and dozens more. 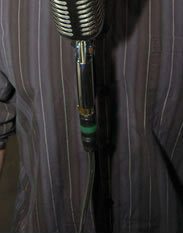 In 2005, while conducting an experimental workshop series called "Four Weeks a Form," I created an improvised show using a combination of improvised poetry, music, and scenework called "The Hook" and brought that show to the Phoenix Improv Festival, Denver Improv Festival, Chicago Improv Festival, and the Del Close Marathon in New York City. In 2006, I was named an artistic associate of the prestigious Chicago Improv Festival. I have taken workshops with Andy Eninger, Charna Halpern, Joe Bill, Mark Sutton, Todd Stashwick, Gary Austin, Ross White, Zach Ward, Matt Elwell, Peter Gwinn, Noah Gregoropoulos, Craig Cackowski, Dave Razowsky, Shaun Landry, Nick Johne, Asaf Ronen, Liz Allen, Jimmy Carrane, TJ Jagadowski and Mick Napier. I have taught improv classes locally in Utah for Laughing Stock, KYSOff, Quick Wits Clearfield, ComedySportz Provo, TBA - In No Particular Order, Off the Cuff, and Off the Wall. I have also taught and coached groups in Washington, Arizona, Texas, Massachusetts, Chicago, Florida, North Carolina and in several other locations. Currently, I still tour as one half of JoKyR and Jesster and perform regularly with Laughing Stock, Utah's longest running improv troupe.